So after I painted the previous Napolean painting I had an oil and solvent smell in my nose for what seemed like a day. Yuck. Can't be good. So I decided to work in acrylics for a bit. That Napolean slice was a very seductive thing to paint so I slipped it out of the fridge and did it again. Unfortunately, at the end of two painting sessions under lights the bottom pastry was super soggy so it ended up in the compost bin. 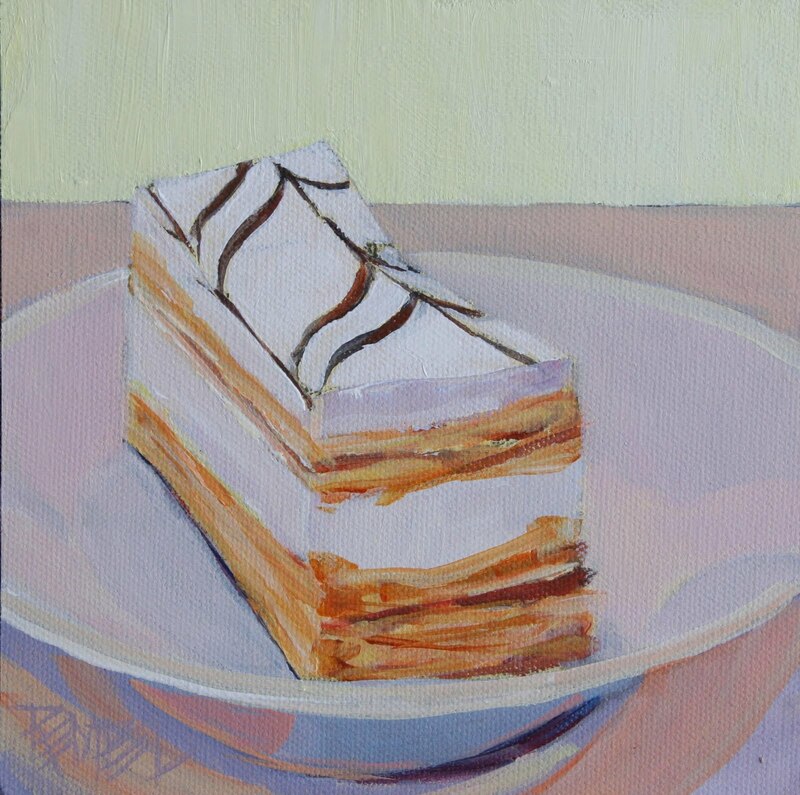 Both napoleons are great...can't tell oil from acrylic in this case. Simply yummy both! 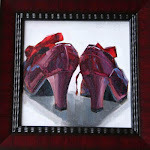 Thanks : ) Sandra - I would have to say for these small ones, oil. All the way. But for my larger work I prefer acrylics. Kind of funny. But in the studio the oil smell gets to me sometimes. Hmm.